I have studied with Fred Wetzel for many years; he is an ornithologist who actively volunteers at Hawk Mountain. 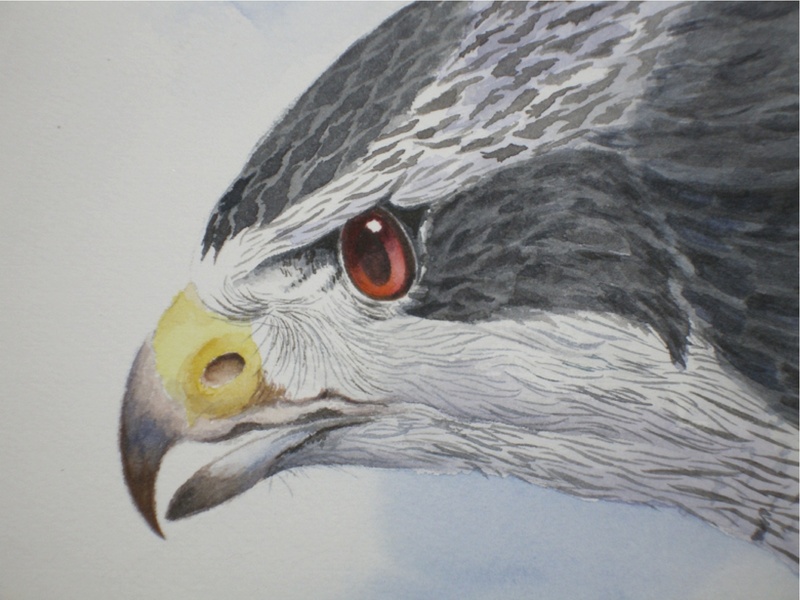 The Northern Goshawk is a favorite subject to paint. Fred helped me paint this young Northern Goshawk. Don’t you just love his beautiful red eyes?